Talk about every person's worst nightmare. Onto my review. My delayed review. And it's a short one too. Ehh, sorry! First things first, Baz Luhrmann is incredible. He really is. And I loved many things about the film and his vision for the whole thing. The cinematography, the music, the characters--everything was so beautiful. And in the end, I give the film two thumbs up. It does the Fitzgerald classic proud. However, I felt two things, or rather characters, were underdeveloped. Baz could have done so much more with Daisy. Daisy, the center of Gatsby's obsession, the reason why he did all he did, why he tried so hard to break out of poverty in order to provide the extravagant lifestyle that Daisy always dreamt of. 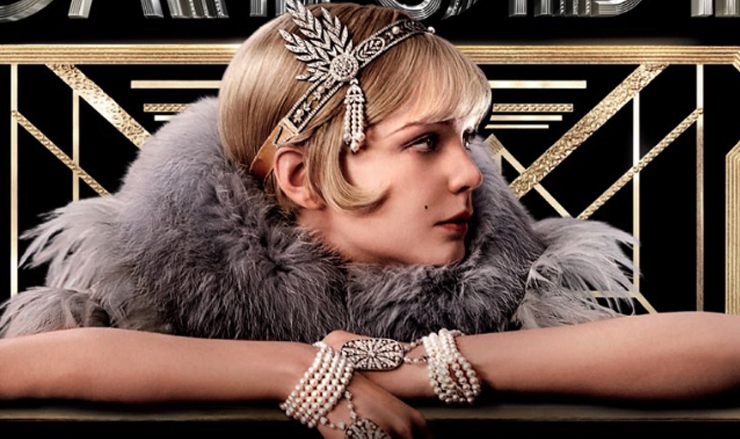 To me, it seemed that the film simply just grazed the fact that Daisy didn't wait for Gatsby because he was penniless. I felt Baz could have inserted little comments here and there to further enhance Daisy's superficiality. He could have also had her seem more unsettled with her life because she hasn't yet realized that what she thought would make her happy didn't make her happy. Jordan Baker. I don't know who that actress was, but she looked like a stretched, length-wise, version of Emily Blunt. And was a lot taller than Nick. Now, I haven't read the book in a while (so I guess that undermines my review), but from what I remember, Nick admired her because he thought that she was different than the people that surrounded them. Then he was incredibly let down when it turned out that she was just like everyone else. I also am not the greatest fan of pointing out the symbolism so when Nick was all like, "the eyes of God were watching us" as the camera panned across the eyes of TJ Eckleburg. Nick Carraway. I absolutely love him. I think it's because I relate the most to him. I'm one that people come to for secret keeping and although it would make me feel incredibly uncomfortable, I would still keep the secret of my friends' affairs (but if someone was cheating on my friend, that's a different scenario...isn't that twisted?). Also, that one scene where Nick is yelling at Gatsby after the little car crash? I absolutely loved the suit he was wearing. I felt Spiderman did a good job with that. Here's a video for you. It goes in hand with my last post. Have a good day. If you're free, contact me and we can go to a Daft Punk dance together at the home of the men who write this blog.